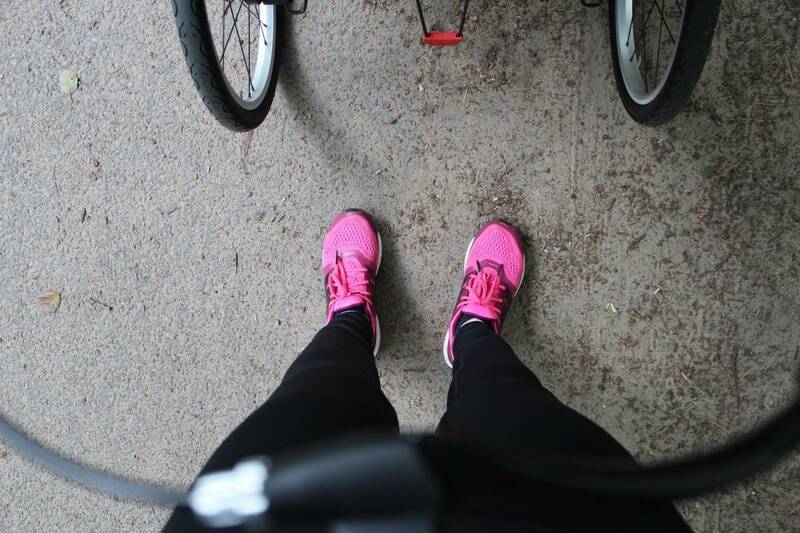 Regular readers will know how into running and general exercise I have become over the last couple of years – and more so over the last few months. 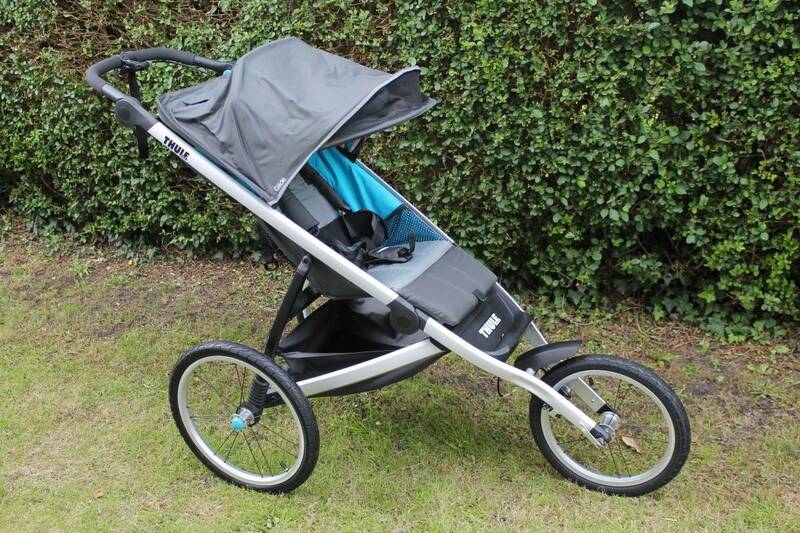 I am always looking for ways to fit exercise into daily life, especially with a young family, so when we were offered the change to try out the Thule Glide running stroller I couldn’t wait to give it a go. 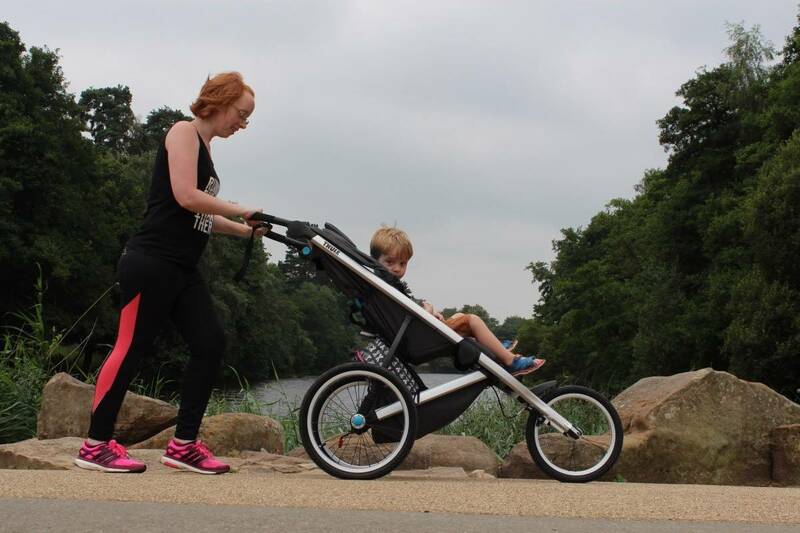 The Thule Glide isn’t like a typical stroller – it’s not the sort of pushchair you’d want to take to the shops or on the school run really but it’s the perfect pushchair if you want to exercise without having to worry about childcare. Since the Thule Glide arrived I’ve been using it as much as possible, mostly at local country parks. 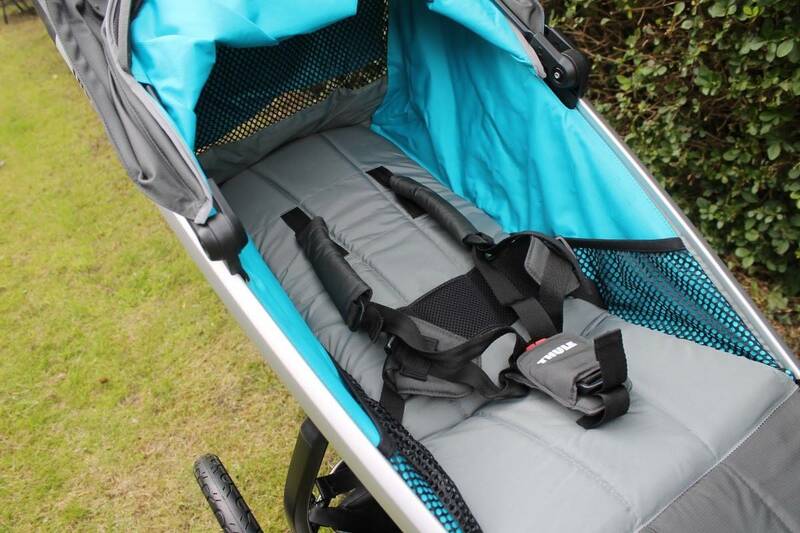 It’s a really good size to remain stable whilst you run but is also incredible lightweight so even with Little Man in the seat the pushchair is a breeze to push. 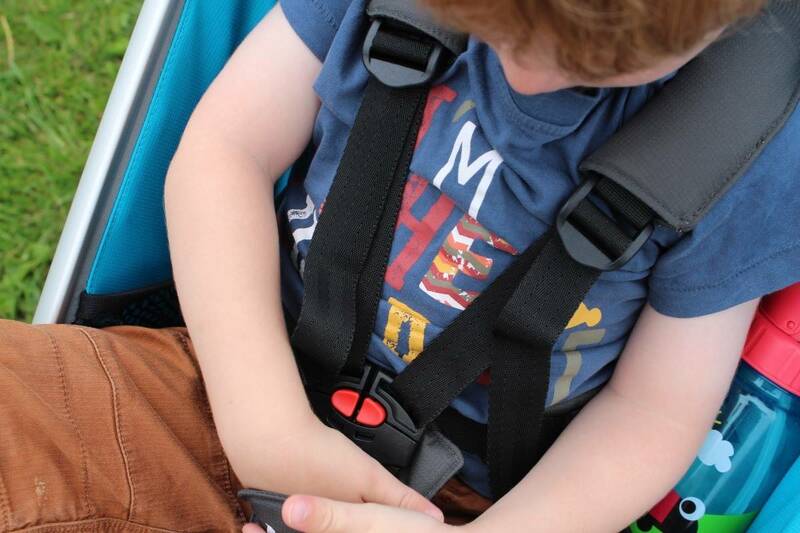 The pushchair seat is well padded with a harness that’s really easy to adjust, keeping Little Man firmly in place even on the quickest of runs. It also has storage pockets at his sides to keep his drinks cup or toys in and the hood gives a lot of cover as well as having a window so that you can easily see your child. 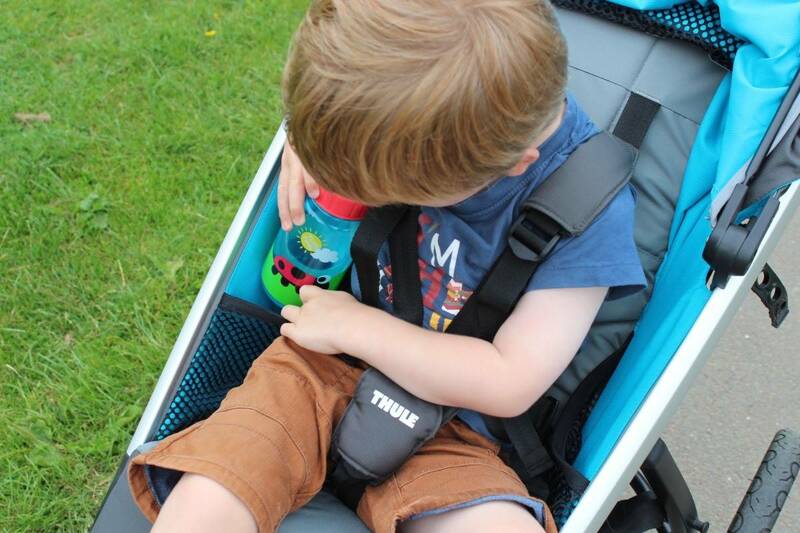 The Thule Glide reclines easily and to almost flat so that Little Man is comfortable even when he is sleeping – which doesn’t happen often nowadays! Running with the Glide couldn’t have been smoother. 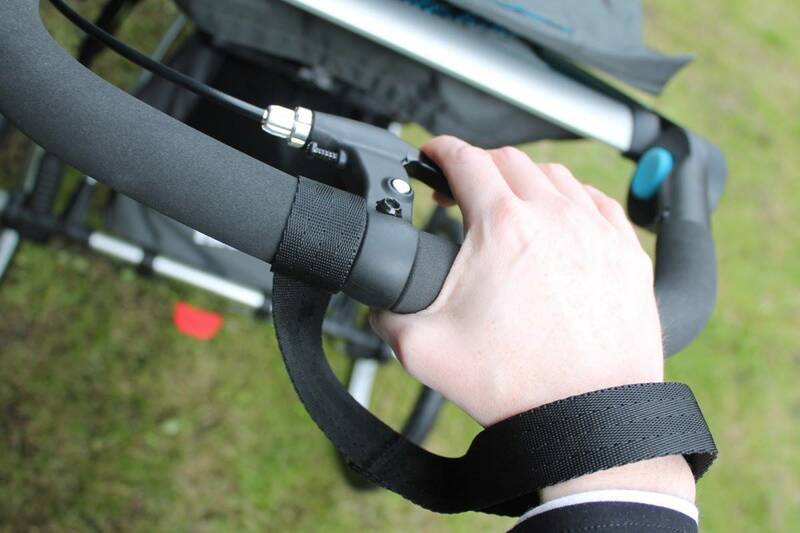 There’s a wrist strap to stop the pushchair running away from you and a bicycle style handbrake if you need it. You can then literally just start to run and it feels completely intuitive – I would walk for a while and then start to run without even thinking about it – the Thule Glide was made for running. 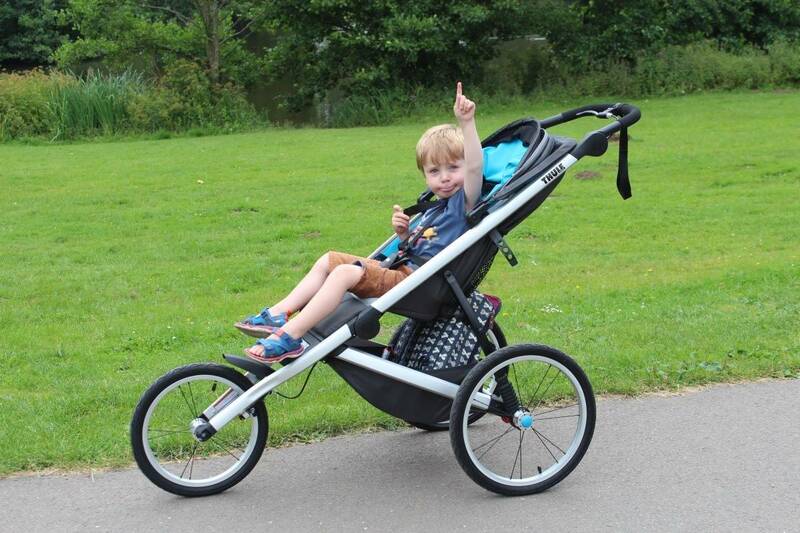 There are so many features of the Glide that I love – the foot brake instantly works so well, the basket is huge and the seat is roomy – even for a three year old. 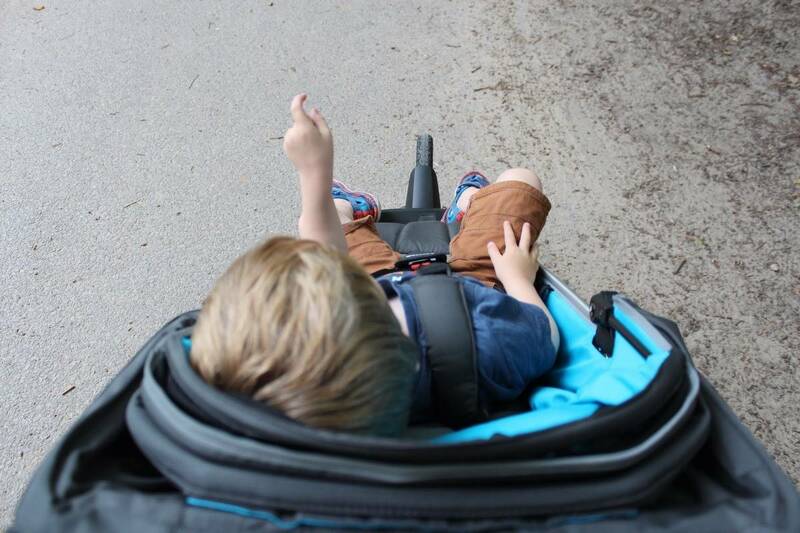 When I first saw the pushchair I worried that it was too big and that the fixed front wheel would make it a nightmare to push but in reality these were just first impressions – and not ones that lasted long. 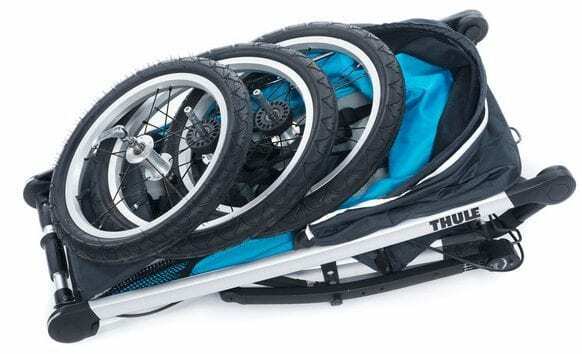 The pushchair is big compared to standard compact travel systems but the Thule Glide is big and robust enough to run with on any terrain – especially with the size and positioning of the wheels. The suspension is fantastic and it really doesn’t weigh much making the size no issue at all. It also folds quite compact if the wheels are taken off however I can fit it folded with the wheels still on in the boot of my Zafira without a problem – and it couldn’t be easier to fold. 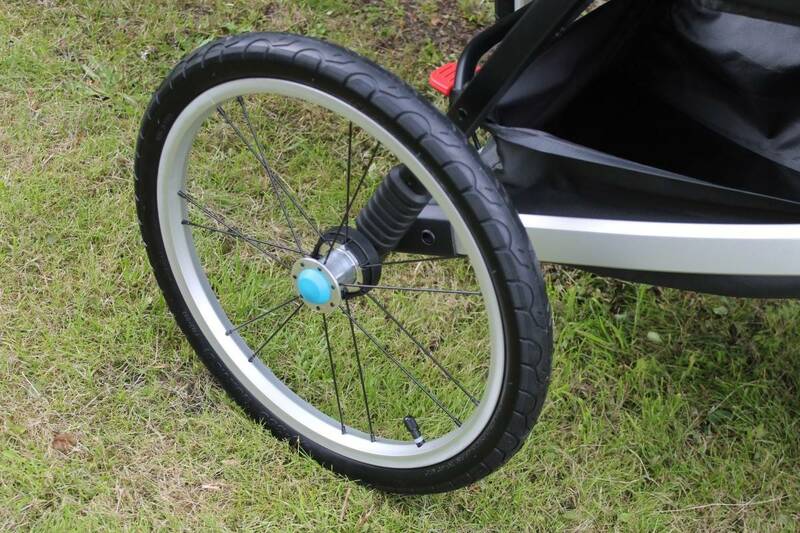 The fixed front wheel was strange at first when pushing it around the garden at home but as soon as I took it out, ready for a run, that front wheel made complete sense. It kept the direction well, had conviction in where it was going and leaning slightly on the handlebar eased the Glide into a new direction. 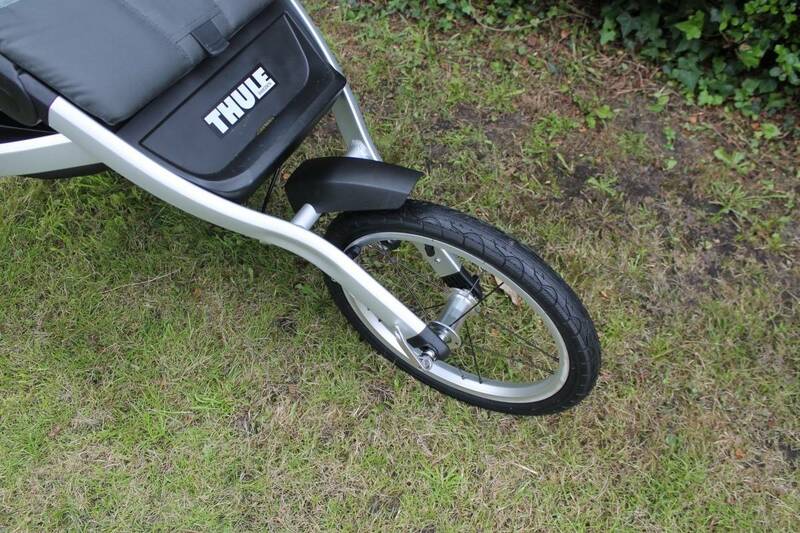 Any time I have run with the Thule Glide it has been a dream to push and the fixed front wheel just adds to that. As I said at the start, this is not a typical pushchair and it’s probably not one you would want to navigate around the aisles of a shop or onto public transport but it’s a pushchair than can keep you active, help you to fit exercise into a family lifestyle and that you could happily use from when your child is six months old until they no longer need a pushchair. Little Man loves coming running with me and he loves watching the scenery whizz past when we’re out and about. It’s something we can do together and I just wish I’d been introduced to the world of running pushchairs a bit earlier. 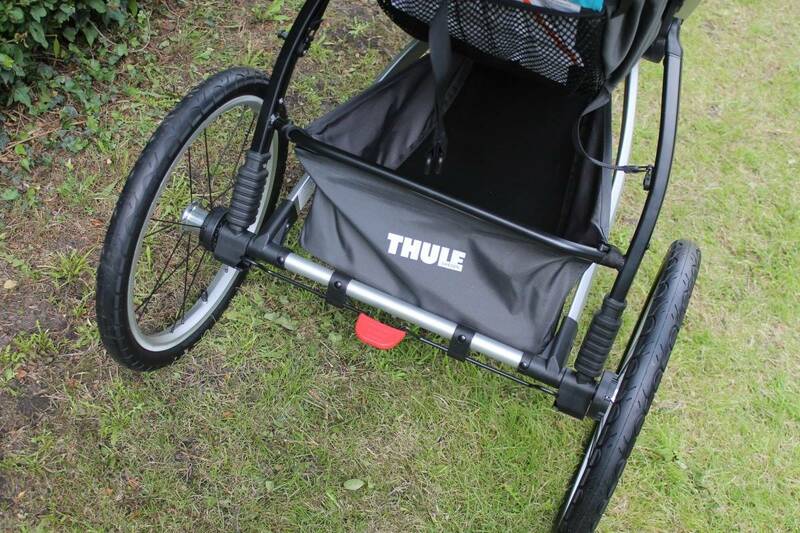 The Thule Glide ticks all the boxes if you’re looking for a pushchair to run with. Love the idea of this, it means you get company on your runs and don’t have to work out where to put your car keys and phone whilst running ha! Hmm now to just borrow a child small enough for a push chair…. This looks like a fantastic pram. As part of my weight loss journey I really need to get into some exercise and this would solve my if I want to run what do I do with Aria problem! I just get impressed with your idea. The kids look quite excited on the glide. I may give it a try. It could be funny moments with my kid. Thanks a lot for sharing.